At Honda Morristown, we are thrilled to announce the new “Love It or Leave It” 100% Satisfaction Guaranteed Exchange Policy! We hope to always ensure our customers’ complete satisfaction, and with this new policy, you are guaranteed a vehicle you love. If you purchase a pre-owned vehicle you’re not 100% in love with, then simply bring it back! At our dealership, our customers are our top priority, and we want you to drive home with a smile on your face! Why settle for a vehicle you don’t love? With the “Love It or Leave It” exchange policy, you have five days to decide if the vehicle you chose is the right one for you. We’re revolutionizing the pre-owned car-buying experience. You can even receive a Lifetime Warranty on select pre-owned models, as well as complimentary service. 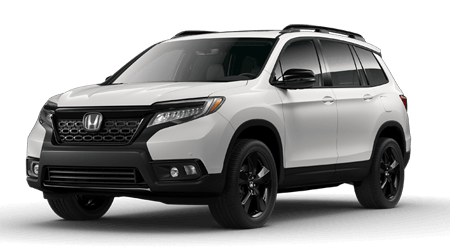 Stop in to Honda Morristown today, and see why we have the advantage over other dealerships, you’ll love it! If you have any further questions about the “Love it or Leave It” 100% Satisfaction Guaranteed Exchange Policy, feel free to stop by our dealership anytime. We are conveniently located at 4190 W Andrew Johnson Highway, Morristown, TN 37814, and we look forward to serving our customers from Morristown and Knoxville, TN. *We will exchange any pre-owned vehicle within five days of original purchase date if it has been driven less than 200 miles. Saturdays and Sundays are counted in the five day period. If the fifth day falls on a Sunday the exchange must be completed by the close of business on the previous Saturday. The purchase price will be credited as a trade-in towards the replacement vehicle. If the original transaction included an over allowance for a trade-in the difference between the allowance and actual trade cash value will be deducted from the credit towards the replacement vehicle. Subject to credit approval. **No exchanges will be granted if the original vehicle damaged or if there is evidence of abuse. No exceptions will be made for the five day period or the 200 mile maximum.